England beat China 3-2 in a penalty shootout to finish fifth in the Champions Trophy in Argentina. Shona McCallin's first international goal, following good work by Sophie Bray and Susannah Townsend, gave England a 1-0 half-time lead. However, China levelled through Cui Qiuxia's close-range effort. Goalkeeper Maddie Hinch made three saves in the shootout which went to sudden death, and Laura Unsworth slapped the winner into the corner. 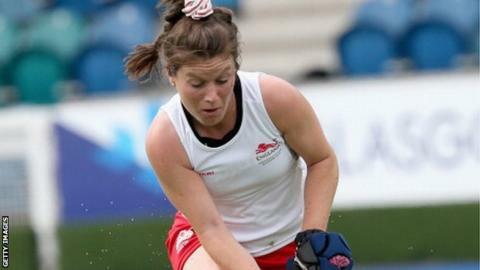 Unsworth and Joie Leigh were England's only scorers out of five in the shootout as China's goalkeeper also made three saves to force the sudden death conclusion. However, Hinch saved Peng Yang's effort before Unsworth tucked her shot away to win the match. Hosts Argentina beat Australia 3-1 in a shootout to win the tournament.